I cannot stress enough to buy these HOOKS they are fantastic extremely sticky sharp and have a great system! they are barbless with the properties of barbred. FANTASTIC idea! Gripz hooks really do what they say they do. With a little pressure during the fight these hooks grip hold in the fishes mouth and stop any chance of a hook slipping and causing more damage to the mouth like barbless hooks can cause. Extremely strong and very sharp they are a reliable hook and i would recommend to anyone to give them a try. They seem to stay sharper for longer than most other brands i have used and are still sharp even after being used several times to catch fish on the same rig. I’ve been a Korda hook guy as long as I can remember, I thought they were sharp and helped give me the edge, however, Gripz, sharper, sleeker, just better in every way. Great hook hold, and tested by some of the best fishery managers about to be better for fish safety. Great hooks for all specimens not just carp and barbel…. razor sharp, and not too thick in the wire. A great hook to give an edge on barbless only waters. Sticky sharp out of the packet. 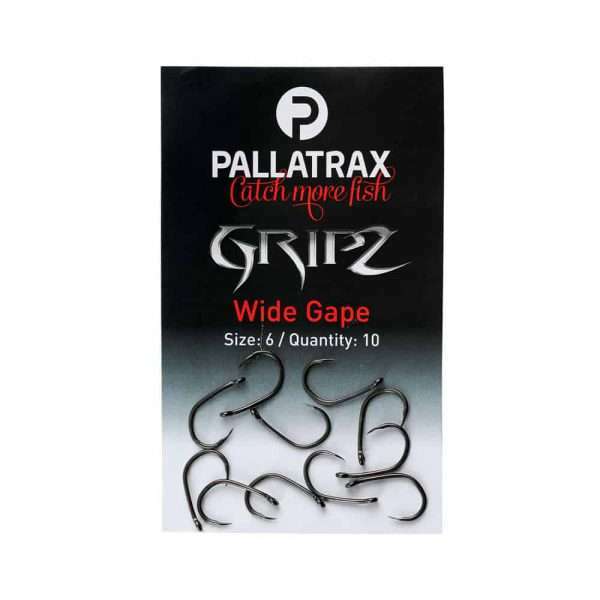 I have used this product for 3 years for Barbel, Chub etc and they are excellent. The hooks are extremely sharp and the grooves really do grip but release easily when the pressure is taken off. I have landed hundreds of fish now and quite often the hook falls out in the net so I can quickly return the fish pristine to the water. The hooks do not move either so no damage to mouths. A truly geat product and one I recommend. Fantastic product! All the advantages of both barbed and barbless hooks with non of the disadvantages. Can be used at venues that require non-barbed hooks but gives the hold of a barb. Amazing to see a company thinking outside the box!